Local Eatables in Raleigh, N.C.
Ready to excite your taste buds with Raleigh, N.C.’s local eatables? Think afternoon snacks, midnight treats, morning pick-me-ups and great gifts for friends and family (or souvenirs for yourself!). 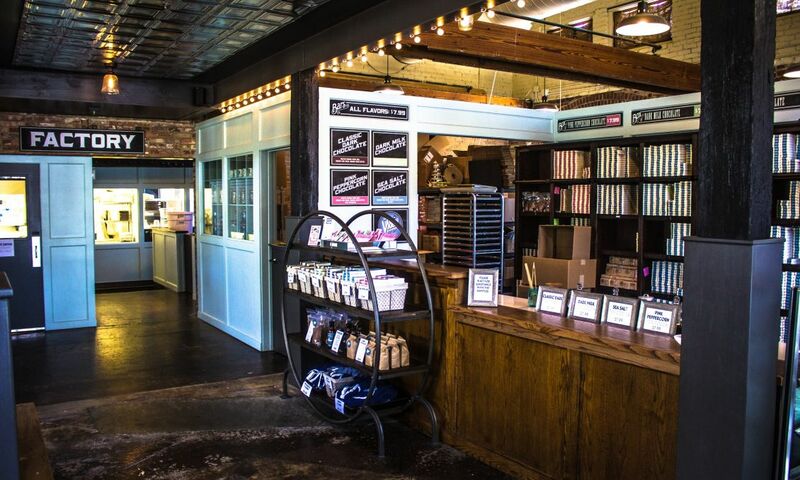 You’ll find all types of these goodies at their own dedicated storefronts or at retailers that specialize in locally-made goods like Raleigh Provisions and DECO Raleigh. 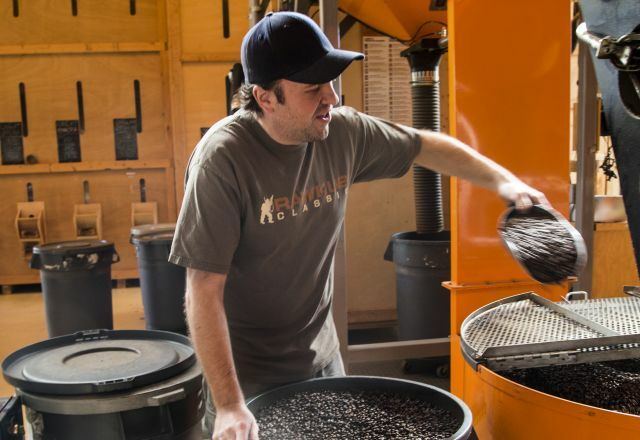 Chocolates, specialty olive oils, gourmet popcorn, local coffee roasters and more—below are some of the products you’ll want to keep an eye out for. This cozy, fully-operational chocolate factory in downtown Raleigh is more than just one of the coolest hangout spots in town; production of incredibly-tasty products (you’ll find cherry lime ganache, pink peppercorn chocolate bars, blackberry caramels, bourbon truffles and more) is on full display where you can witness the chocolate-making from start to finish. More than 50 varieties of cold-pressed, extra-virgin olive oils, flavored oils, specialty oils and balsamic vinegar from Italy make for fun tasting and great gifts. Popping flavorful corn in Raleigh since 2000, all of Carolina Popcorn Shoppe’s recipes are original, and their many varieties are hand-blended using real creamery butter, brown sugar, fresh-roasted nuts, rich cheese blends and other superior ingredients. Inventive flavors and ability to mix and match to the max make this a go-to spot for snacking. 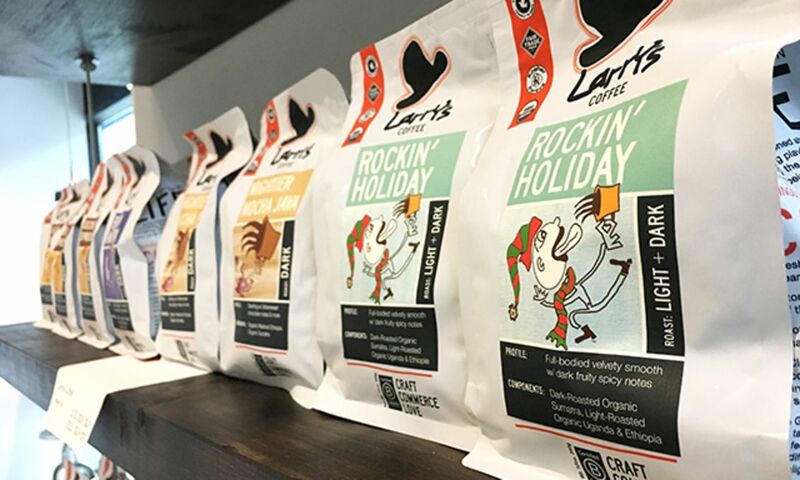 Headed by coffee artist and world-sustainer Larry Larson, Larry’s Coffee is passionate about deep, rich flavor profiles and a slow-roasting process that turns your coffee dreams into realities with a unique approach to blending. To get a taste, stop in to 42 & Lawrence in downtown Raleigh—equal parts coffee bar and experimentation lab—serving espresso-based drinks along with cold brew coffee, draft latte, kombucha and more. An enterprise that has now spanned four generations, the Ford family is widely recognized for their signature offering—Bone Suckin’ Sauce. The sauce, which first hit the market in 1992, is a western N.C.-style barbecue sauce that uses honey and molasses to give it a sweeter taste. You could say it’s been a hit—it’s now sold in 76 countries and known to have been used in the White House. You’ll find the sauce—along with other goodies like gourmet peanuts, pretzels and chocolates—at the Ford’s store at the State Farmers Market, Raleigh. For even more places, check out the full list below!